Sala El Loco – Rock Concerts, Theater and Comedy »« World’s Longest Cable Car in Valencia? 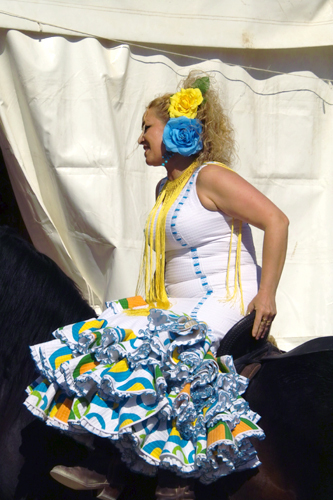 We’re really late with this one, but here are some images we got from this year’s Feria de Abril, which was held (confusingly) at the beginning of May in the Turia riverbed. 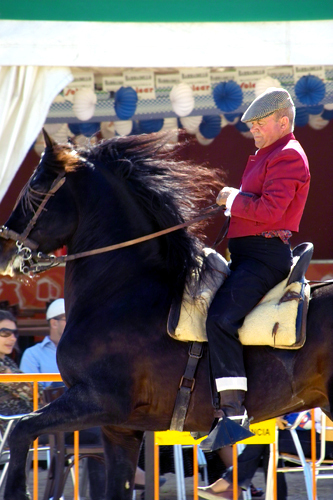 The festival grounds were pretty small, and everything was focused on horses and flamenco. 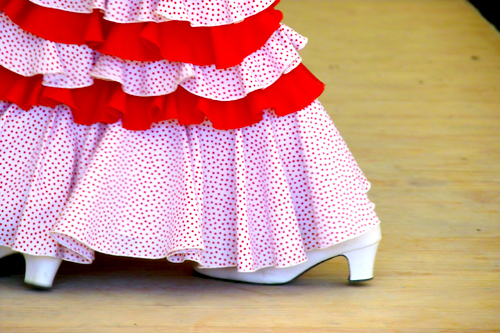 Feria de Abril is truly a Sevillan festival — one of Spain’s largest and most popular. Here in Valencia, there are a number of groups of people from Andalusia and they get together to celebrate as a consolation prize for not being able to do so in their homeland. The party was really winding down by the time we arrived, but we did see one crazy thing. Let’s just say — driving under the influence is not a good idea, even if what you’re driving is a horse. This older gentleman was just plastered and directing his poor horse into tent after tent, knocking tables and chairs over and nearly trampling a bunch of people. It was probably more funny than scary, but still!